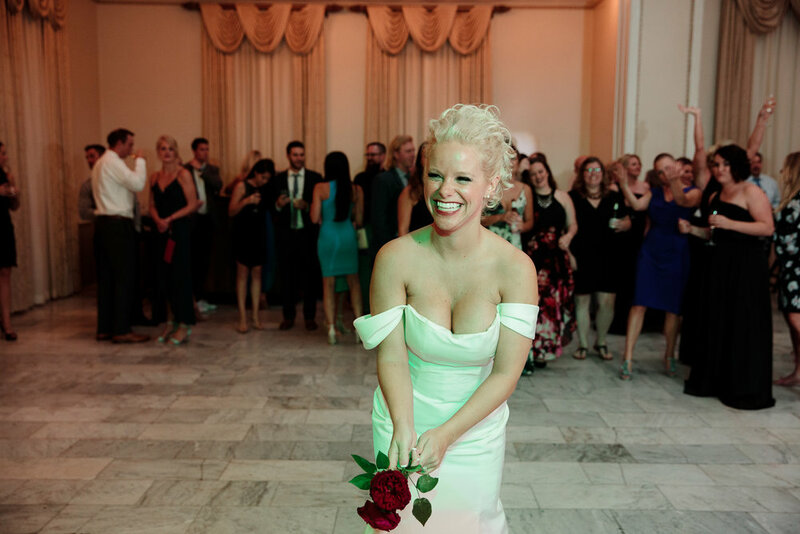 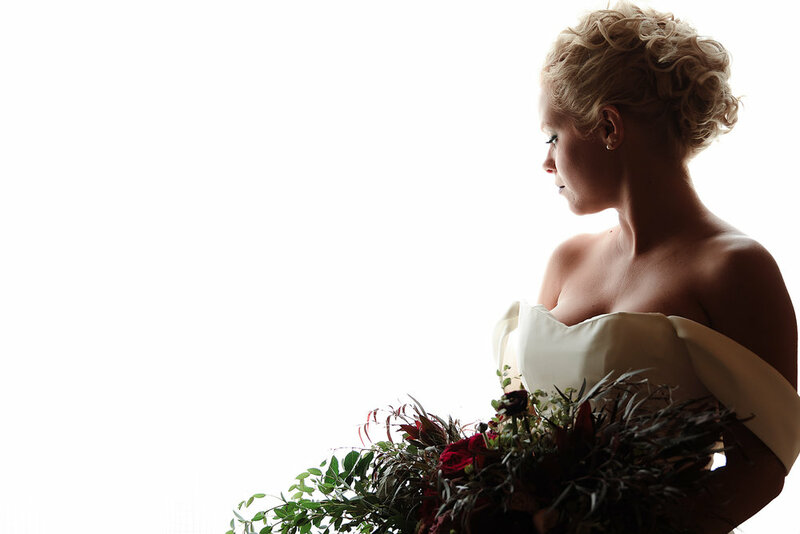 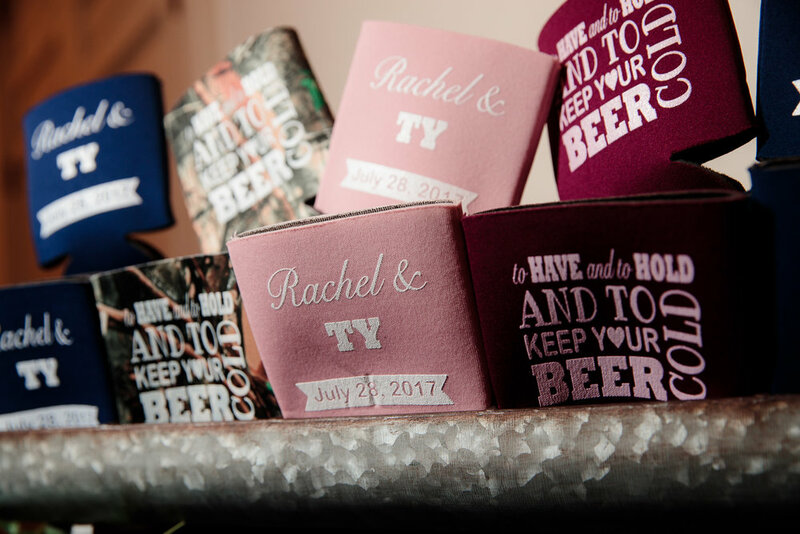 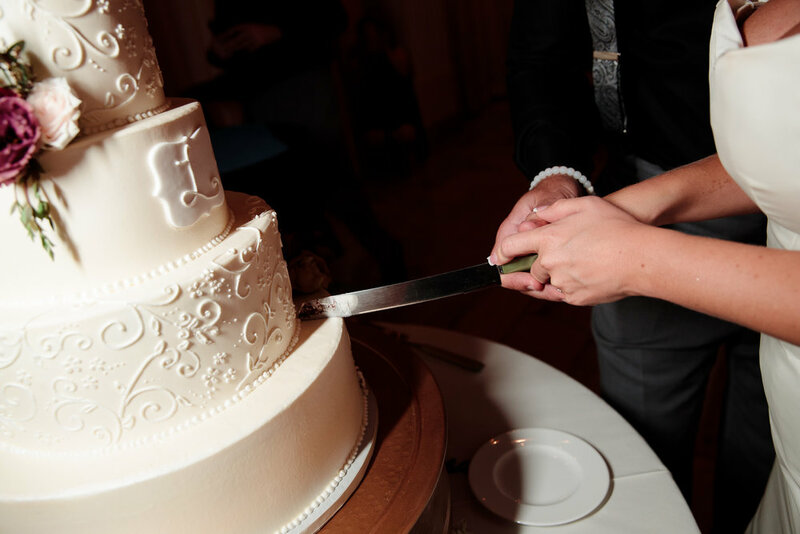 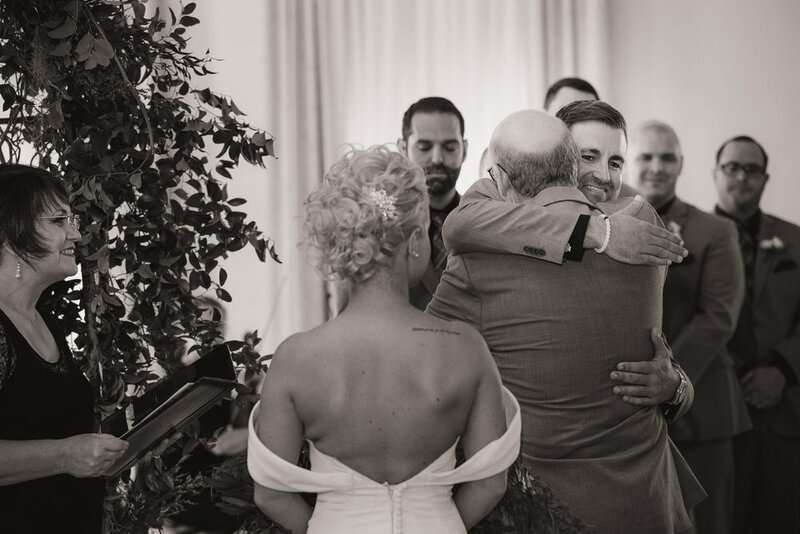 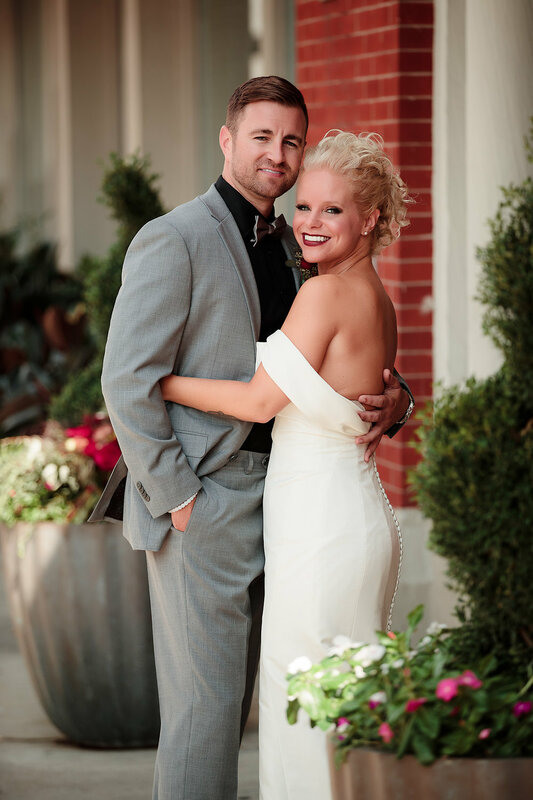 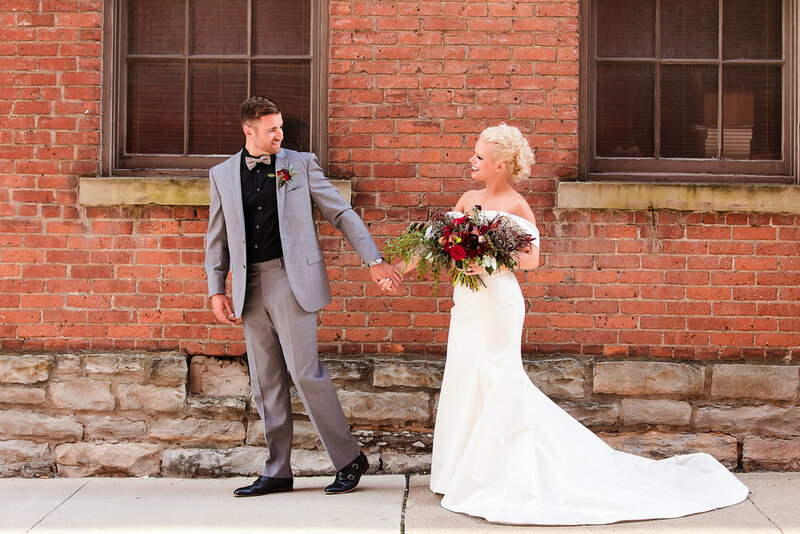 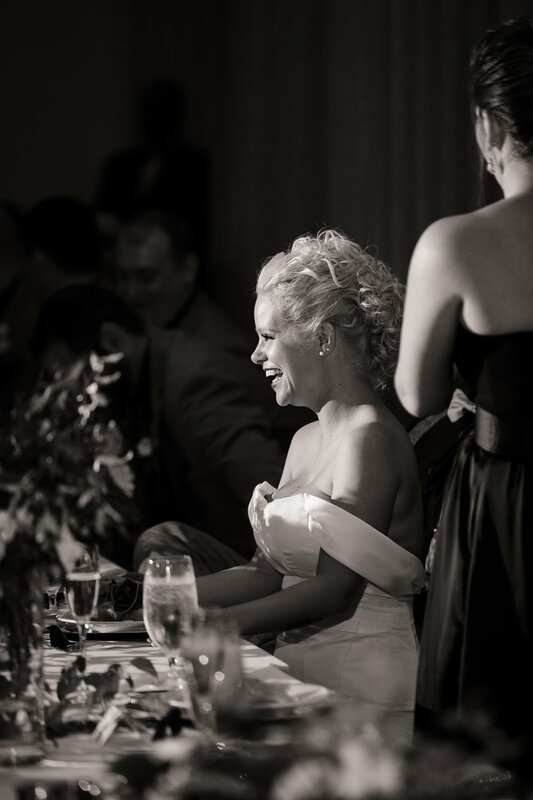 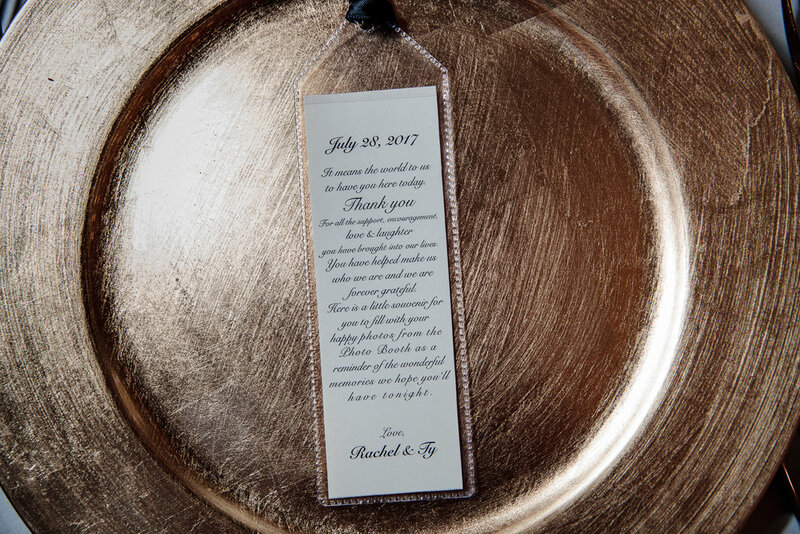 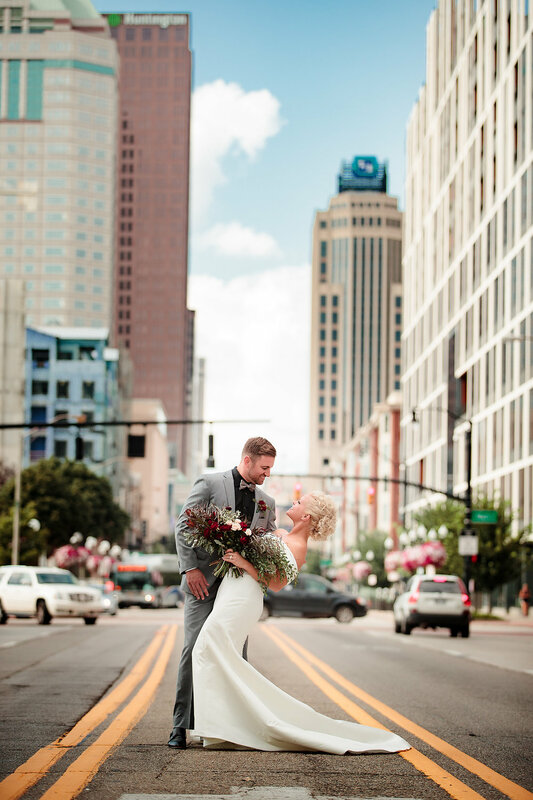 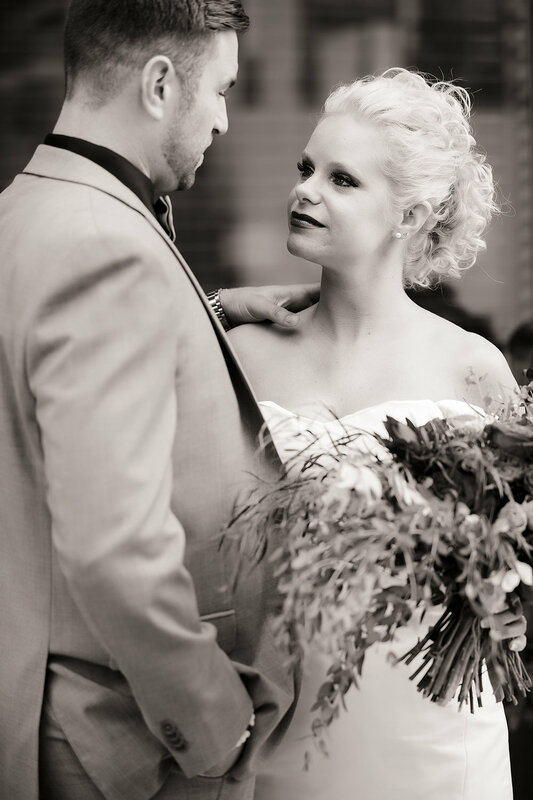 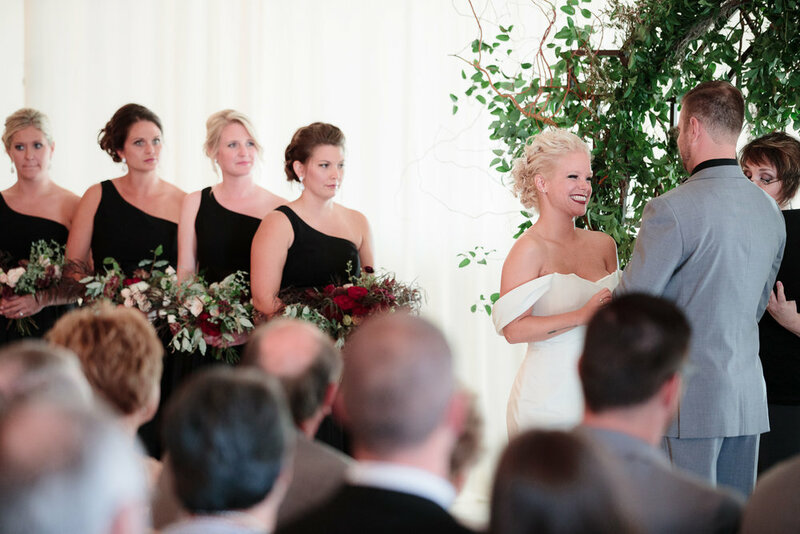 Ty and Rachel's summer wedding was at the Westin in downtown Columbus. 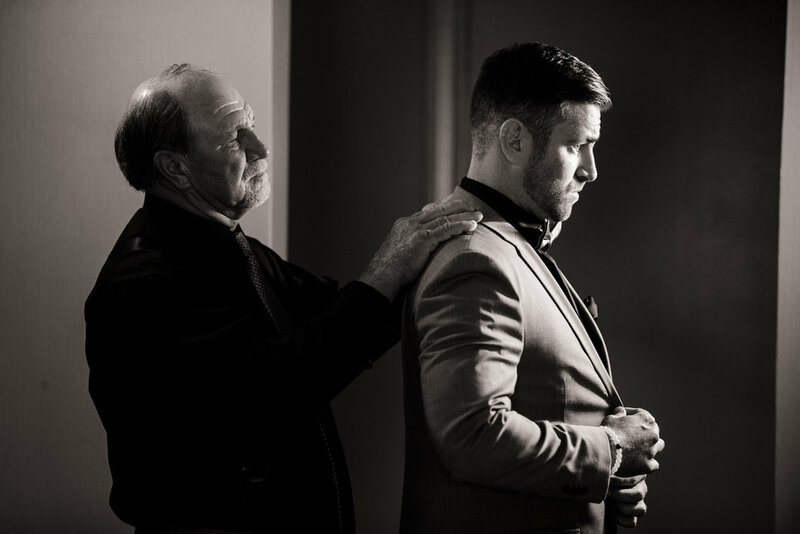 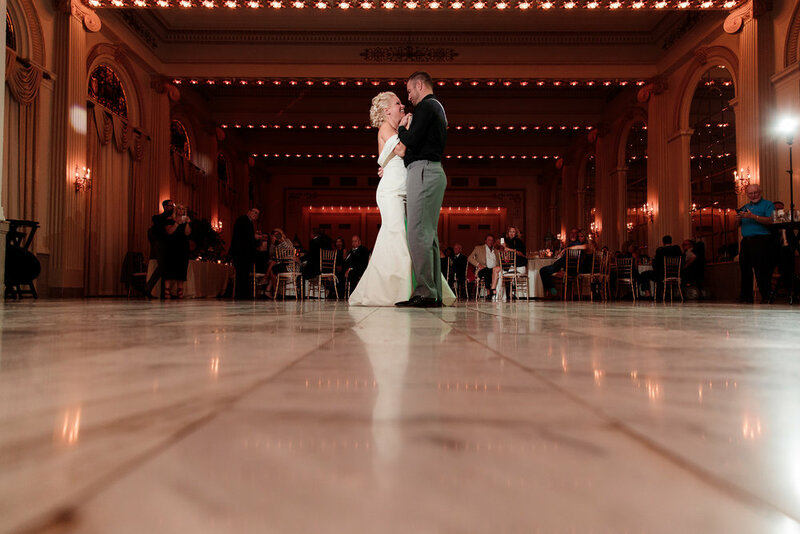 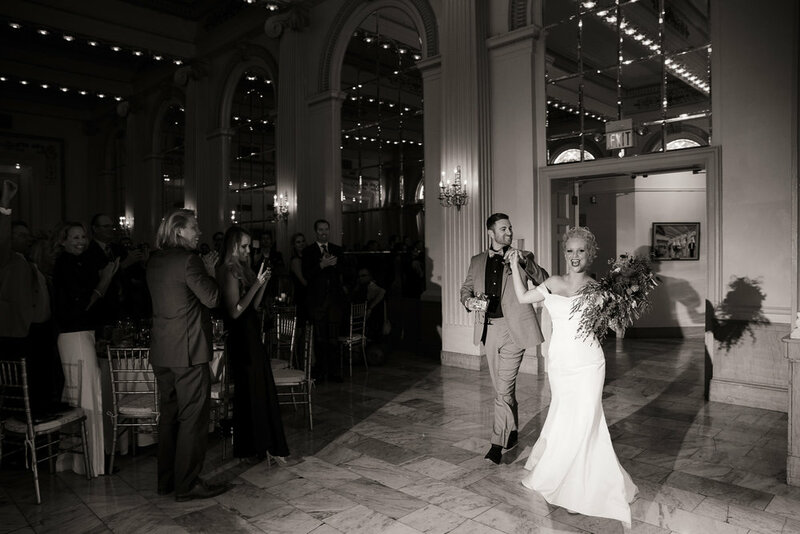 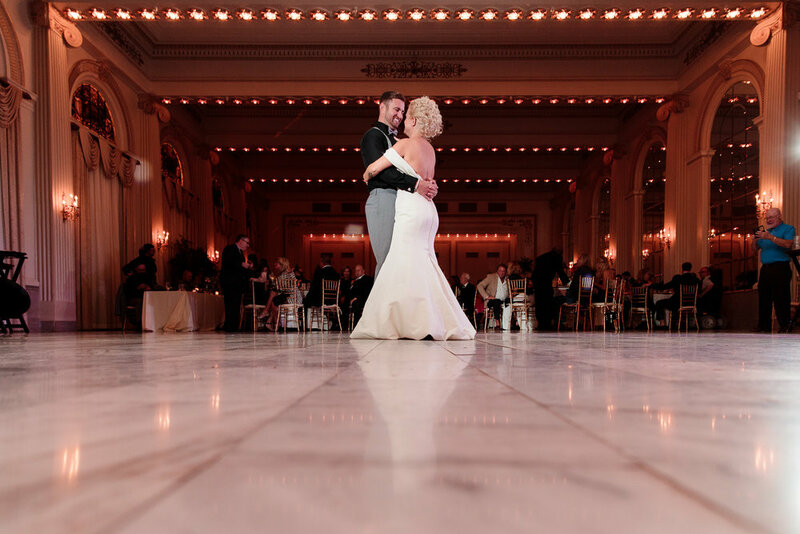 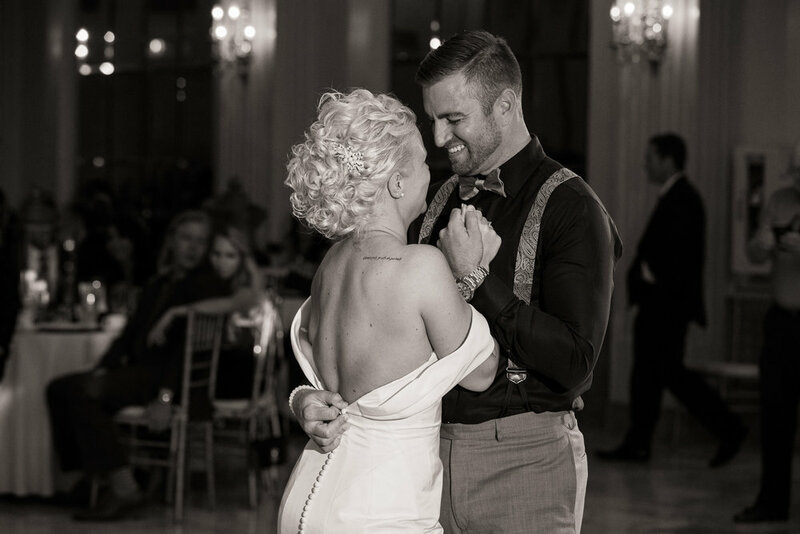 The historic ballroom offers couples with any style a breathtaking backdrop for their special day - and an inspiring setting for any wedding photographer. 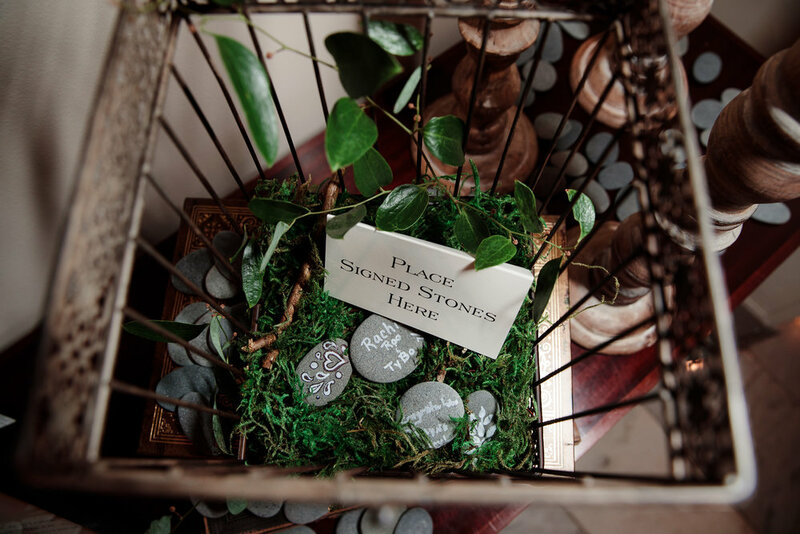 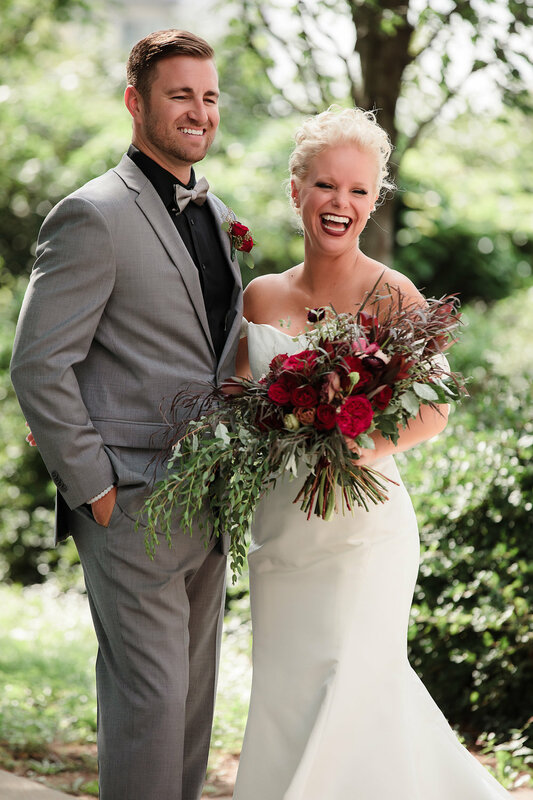 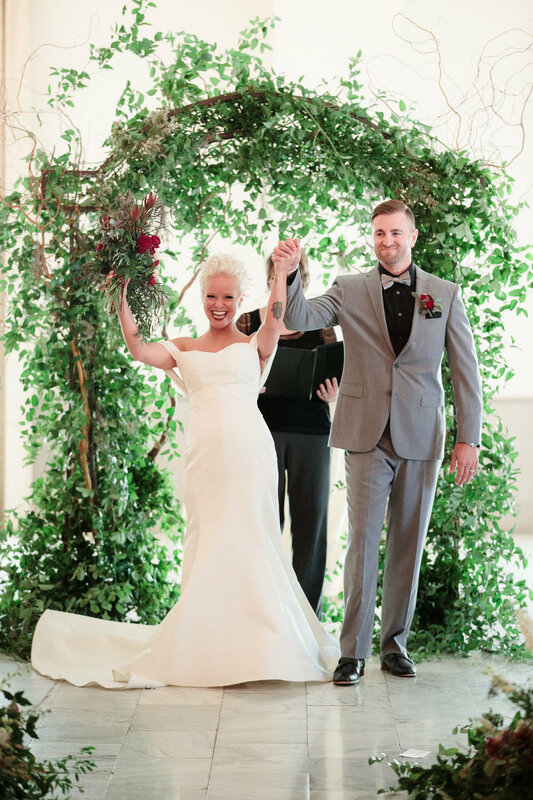 Ty and Rachel accented the beautiful gold and ivory laden ballroom with free-form floral arrangements of deep greens and reds, outdoor lanterns overflowing with moss, and rustic touches like baskets, wine corks, and DIY signs. 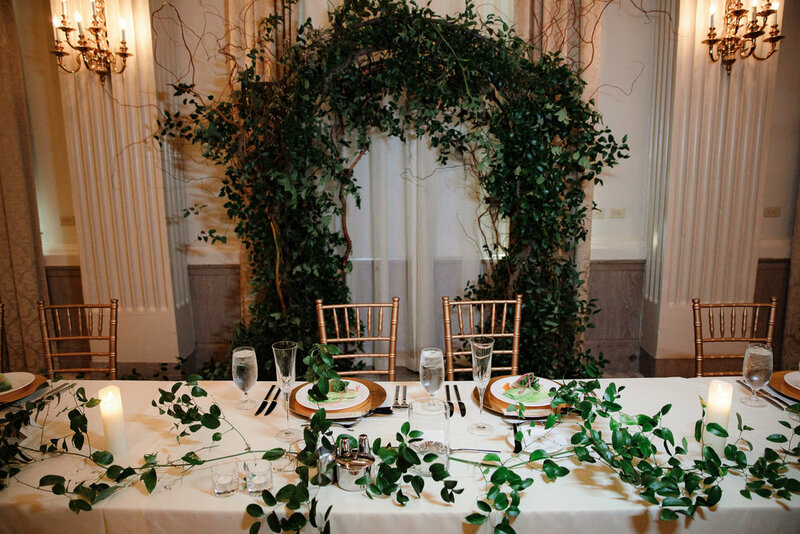 The decor gave the Westin an indoor garden feel, while the dim lighting offered a romantic ambiance throughout the evening.